Who would have thought knotty, spotty, globular knobs of fungi like these could be so divine? White truffles from Alba are in season, and if you haven't tried any, you should soon as the season is ending. Executive Chef Alessandro Delfanti of il Lido is presenting Italian classics made decadent by the lavish pairing with white truffles. Each of these comes with 3g of shaved white truffles. 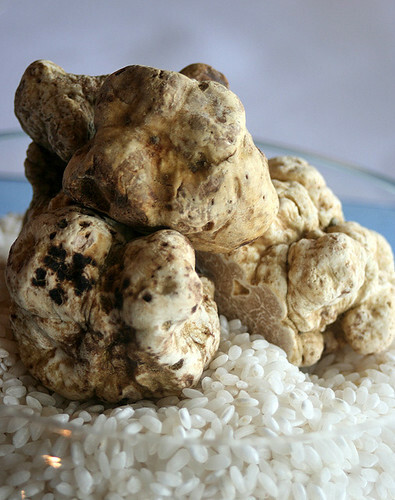 You can also request for white truffles to be shaved over a la carte dishes, at market prices (about S$15 per g). 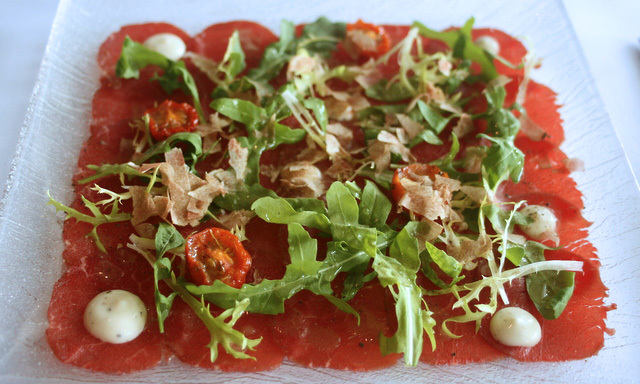 For starters, we had the Angus Beef Tenderloin Carpaccio with White Truffle (S$58). This is a huge platter! The beef slices have been cured just ever so slightly, and are nicely marinated. There is just enough tangy sauce for the salad and beef. We were lucky to have truffles that had reddish marks too (I later found out it's due to symbiosis with linden trees). 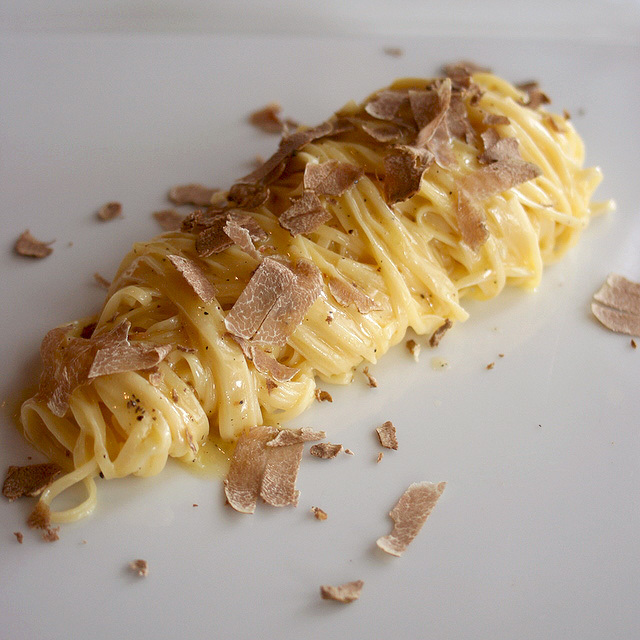 I had the Homemade Tagliolini with White Truffle (S$58), which was insanely delicious and addictive. I didn't want this dish to end, and I totally love how something so simple (just butter emulsion with a hint of garlic) can be so fantastic. One of the best pasta dishes I've had this year! My friend Mui Yee had the ‘Carnaroli’ Risotto with White Truffle (S$58). It's comfortingly creamy without being overly rich, and it had a more tangy edge compared to the pasta. 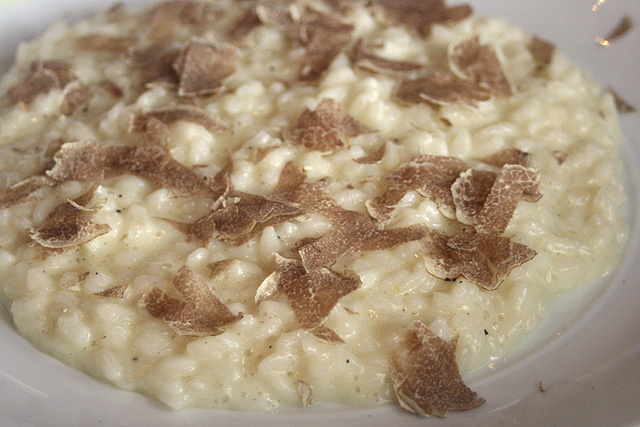 We all loved how the inherent heat of the risotto released the truffle's aroma in gorgeous wafts. 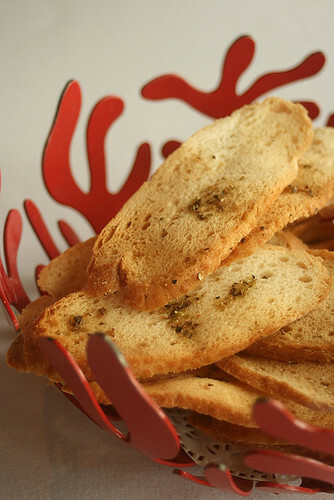 A whole large basket of herbed garlic crostini is yours to enjoy throughout the meal as well. It goes very well with conversation. I wished I had some of the carpaccio's delicious sauce to dip this in! 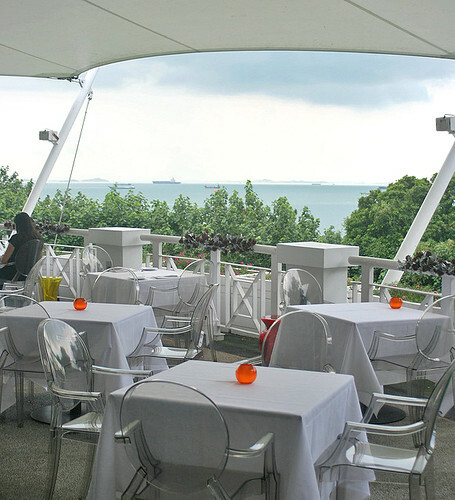 Enjoy all this with il Lido's famous view overlooking the greenery and sea. 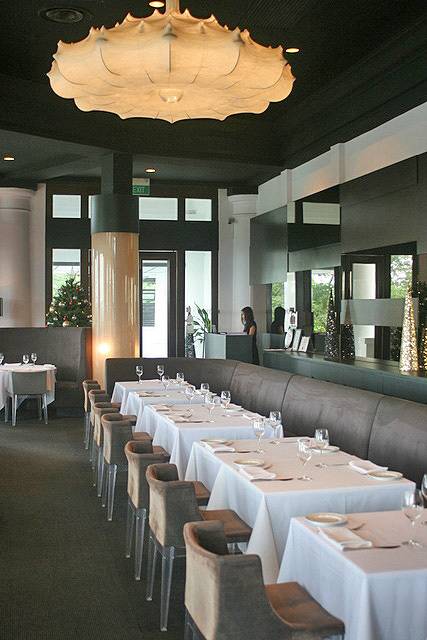 Or dine inside in plush, cool comfort. The seasonal white truffles will be on the menu until mid December (while stocks last). Big thanks to Roxanne of il Lido for hosting the very enjoyable lunch! Yes, plentiful shavings! So so good! The carpaccio looks like it was melt in the mouth soft! And how generous were they with the truffle servings! Chompchomp, you are spot on. The carpaccio was indeed that soft. It's just beautiful!